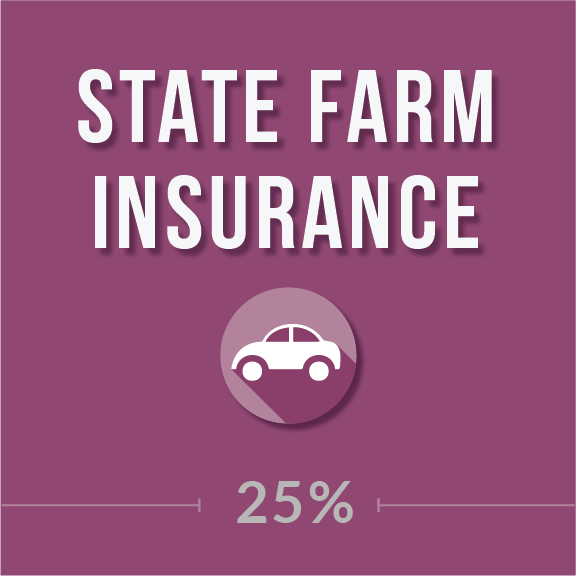 State Farm offers one of the most generous student discounts in the auto insurance industry. Students who demonstrate good grades can save up to 25% off of their car insurance rates. The good student discount can be combined with other offers as well to save parents more money. What discounts does State Farm offer to students and parents? Good Student Discount: Students who maintain a “B” average or higher can save up to 25% off standard rates. The reduced rates even last after the student graduates from college, up to a maximum of 25 years of age. Keep in mind that insurance rates often drop after 25 years old. Driver Training Discount: Drivers under the age of 21 who complete an approved driver education course may qualify for additional discounts. To qualify, all drivers under 21 who operate your vehicle must have passed an approved course. So if you have two children who drive your car, each must have completed driver education. Student Away at School Discount: State Farm gives you a discount if you include your student on your policy, but that student lives far away from the car and only drives when home on holidays or vacation. This applies both for college-aged and prep school students, as long as they are under the age of 25. All of these discounts can be combined with each other and other discounts to achieve maximum savings. How to qualify for State Farm student pricing? To qualify for any State Farm discount, it all begins with a quote. The easiest way to initiate a quote is online using the State Farm website. It’s important to note, it’s typically best not to complete any insurance policy online if you believe you qualify for one of the special offers listed here. But it is okay to contact the company to ask for that initial quote. An agent will contact you after you fill out your online forms, and it is best to speak with a State Farm agent about any discounts you may qualify for. You’ll need to provide proof of good grades and/or enrollment status to your agent. Most agents work very hard at saving you the most money possible simply because they want your business (and most are good people). Get started by clicking on the button below.